Famished? Fast and Fabulous Dinner Idea. For those of us with not a lot of time for dinner tonight, but everyone is wanting a home cooked meal – CHECK THIS OUT! This meal will be fast, no hassle and easy on the pocket book! Only three ingredients and a couple minutes of your time and voila! 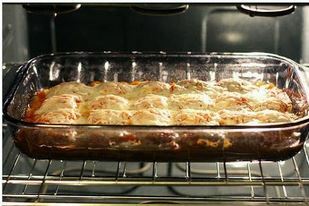 Spread 3/4 cup of the pasta sauce in baking dish. Arrange half of the frozen ravioli in a single layer over the sauce; top with half of the remaining pasta sauce and half of the mozzarella cheese. Repeat layers once, starting with ravioli. Sprinkle with Parmesan cheese. Cover with aluminum foil and bake for 30 minutes. Remove foil; bake uncovered for 10 to 15 minutes longer or until bubbly and hot in the center. Let stand for 10 minutes before serving.